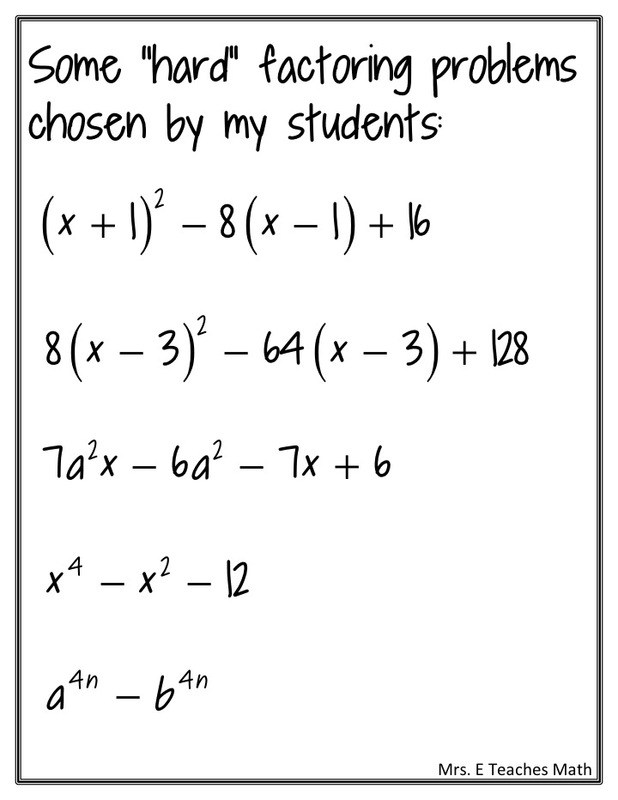 Today in Algebra 2 Honors, my students practiced factoring. Yesterday, their homework was to look through their notes and textbook to find the three hardest factoring problems they could find. I told them they could work with friends and bring the same problems, as long as they could tell me why they thought the problem was difficult. My students thought I was joking at first. One boy said, “This is like the easiest homework ever!” and a girl glared at him and hissed, “shut. up. now.”. Super funny. Their bellwork today was to list the “hard problems” on the board. 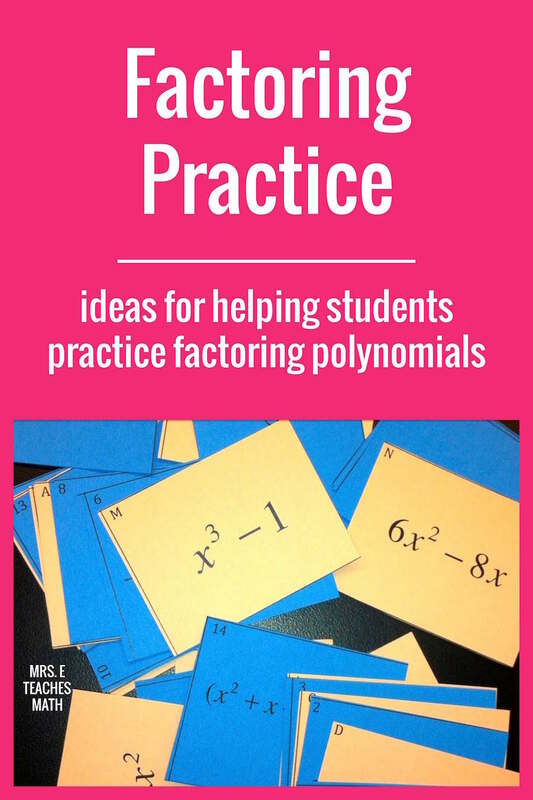 Some of the problems they chose were from their Factoring with Symbols worksheet. I wanted the students to practice articulating why they didn’t understand something. As a class, we talked about why a problem “looked scary”, then broke it apart together. I kept stressing patterns. I wanted them to get used to seeing challenging problems, and actually working through them. This is a tiny baby step I’m taking to try to teach perseverance in problem solving. My students were much more focused because I was working “their” problems. A few of them were impressed that I could factor the problems on command. Come on guys, it’s my 4th year teaching the same course using the same textbook. I practically have those problems memorized. 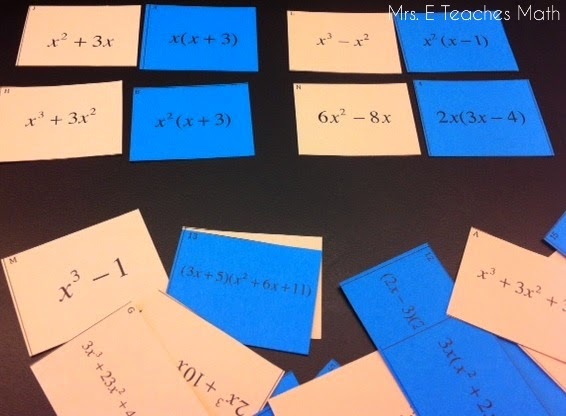 When we finished working the “hard problems”, I had my kids do a set of matching cards with a partner. They were supposed to match a polynomial with the factored polynomial. I also gave them dry erase markers so that they could use their desks as scratch paper. They LOVE writing on their desks. 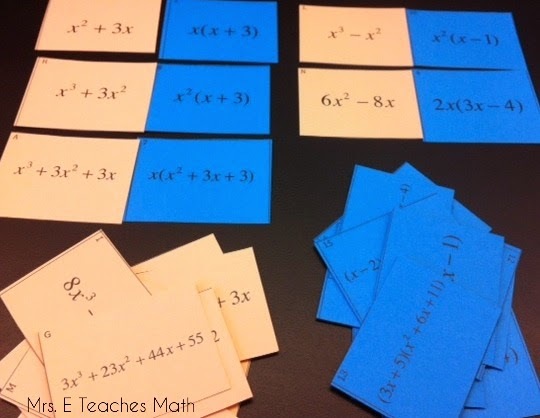 I like to copy the problems in a different color from the solutions when I make matching cards. It's easier for the kids to start working when they know what they're supposed to match. 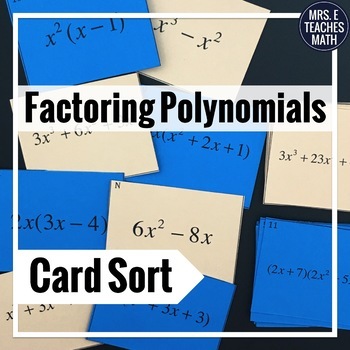 If you’d like to use these cards in your classroom, you can download them for free from my Teachers Pay Teachers store, just click on the picture below! 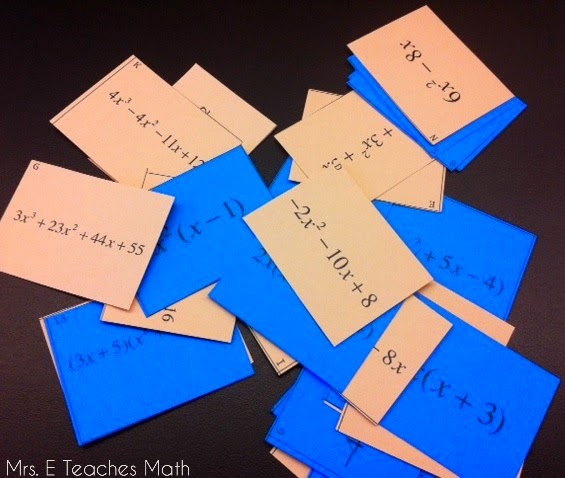 I love that matching cards activity and the idea of printing the cards and solutions on different colors! We are working on formative assessment this year and this a great way to do it after teaching a lesson! LOL Are those cards blue and black? Or gold??? http://www.wired.com/2015/02/science-one-agrees-color-dress. I love your blog mainly for your geometry stuff, but I do some algebra review with my geometry students, so I was looking around. I can't seem to factor the first hard problem. How do you do that one? I see the pattern of a perfect square, or am I wrong? 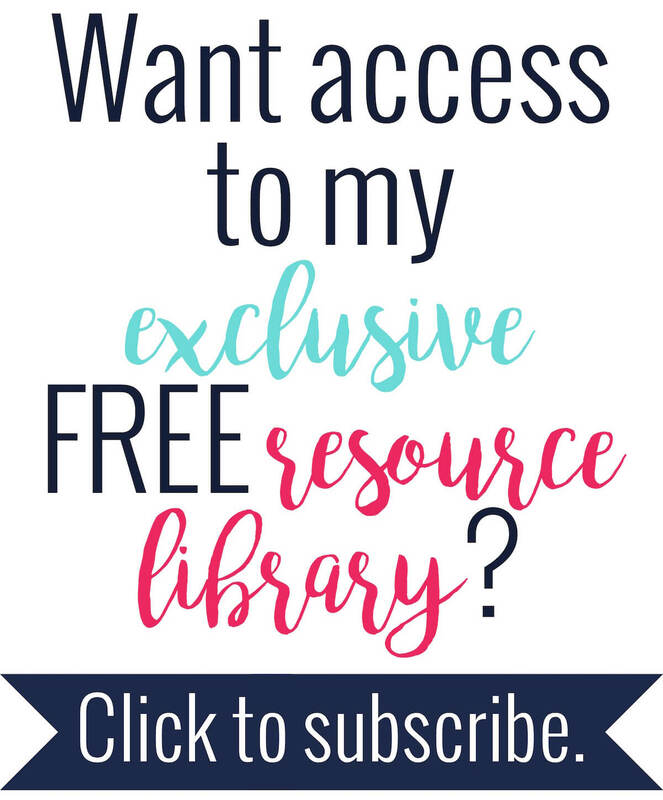 Thanks for your great resources!